Turn That Falling-Down Barn Into Cash! Are you a farmer with an ancient, tumbling-down barn you can’t really use anymore? Well, thanks to the current wild enthusiasm for reclaimed wood, you could be able to get perfectly good money for it. Might as well make some ducats off the fact that so many people are willing to pay top dollar for the athleisure equivalent of your actual life, right? That’s according to NPR, pointing out one implication of the coast-to-coast lust for pre-used building materials, perhaps most clearly illustrated by the runaway popularity of HGTV’s Fixer Upper. The outlet spoke to Mark Bowe of the DIY Network’s Barnwood Builders, whose company has long specialized in dismantling old barns for parts. People “want to have those pretty beams in the ceiling or they want to have the barn wood walls, or the tables and the furniture,” he explained. Bowe does note that nowadays, farmers tend to know their structurally unsound but picturesque old barns are likely worth some money, so they’re not going to be ripped off. Though if you’ve been mowing around a nearly-collapsed pile of timber for several years, it probably seems like a great deal just for somebody else to do the work and the hauling. “Even if you got a free barn, it’s not necessarily free,” explained Mike Hudson, another barn wood reclaimer. 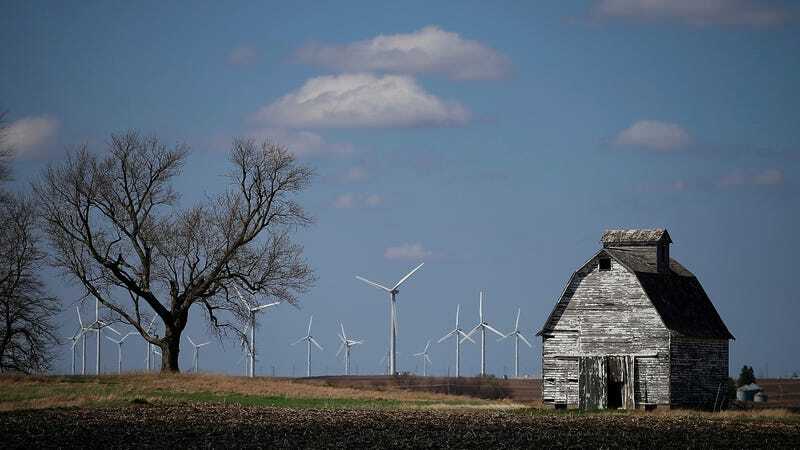 With every barn that comes down, the classic landscape of American farmland littered with wooden barns fades away. The National Barn Alliance is trying to make sure that doesn’t happen by preserving the buildings it can and documenting those that will come down. Eventually we’ll either run out of barns or America’s attention span will force us onto some new interior design trend. So if you’re sitting on a huge stockpile of reclaimable wood about which you can spin a story that doesn’t involve barns, now’s your moment to launch a lifestyle blog and begin your steady climb to HGTV fame.